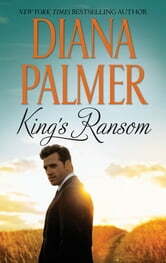 Enjoy this fan-favourite contemporary romance from New York Times bestselling author Diana Palmer. Who is the stranger living in Brianna Scott’s apartment? Ahmed ben Rashid claims to be a foreign diplomat in need of a hiding place. Though Brianna needs Ahmed’s help to take care of her brother, she isn’t about to play housemaid to some overbearing sheikh. Soon Brianna discovers Ahmed has the demeanor of a king. Yet the biggest surprise is ‘His Majesty’s’ demand that she become his bride. But Brianna isn’t walking down the aisle until her royal suitor learns a much-needed lesson — in love.